Scandinavian Journal of Work, Environment & Health - A comparison of exposure estimates by worker raters and industrial hygienists.  A comparison of exposure estimates by worker raters and industrial hygienists. The validity and reliability of nine senior sawmill workers' estimates of frequency, duration, and routes of exposure were compared with individual workers' ratings of their own job titles and industrial hygienists' ratings of all job titles in the plant. The reliability of the senior workers' mean exposure estimates [group intraclass correlation coefficient (ICC) = 0.71] compared favorably with those of three pairs of hygienists (group ICC = 0.57, 0.67, and 0.81). The validity of their ratings was assessed in a comparison with urinary chlorophenate measurements representing 92% of the job titles in the sawmill. The senior workers' ratings [coefficient of determination (R2) = 0.22] resembled those of two pairs of industrial hygienists (R2 = 0.24, 0.22) and was significantly greater than that of the third pair (R2 = 0.08). The validity of the self-reports was also low (R2 = 0.15), but the difference was not statistically significant. Senior workers' exposure ratings appear to be as effective as the other methods tested.